Somehow I missed almost all information about Legion. I was vaguely aware of it due to the sites that I subscribe to, but not much information at all. I’m writing this just in case you are in the same boat. With my vague listening I was thinking it was something along the lines of Mutant X. While I’m sure Mutant X had its fans I wasn’t one of them. The show had the production quality that matched Hercules or Xena. This doesn’t make any of those shows terrible, but I need to point that out. In contrast Legion seems to be better quality than the Marvel shows on Netflix. It is much than better than Agents of S.H.I.E.L.D. Take that for what it’s worth, but FX has done a better job than Disney for the production. The storyline is fascinating and it draws you in. If you told me I could watch the next 2 episodes of Legion or see another season of Daredevil, I would choose Legion. I haven’t been a mutant heavy fan since the 1990’s and Daredevil is one of my favorite characters. It wasn’t until watching last night and doing a quick Wikipedia scan that I even knew who the character Legion was. What I don’t want to do is weigh you down with plot points. I have set expectations already, but this show is a journey. I think it is best to come into this show as cold as possible. The only reason I watched it at all was because Patrick Stewart mentioned that he would be open to doing a Professor X cameo next season. I haven’t seen Logan yet, but I think Legion likely fits in nicely with that universe. 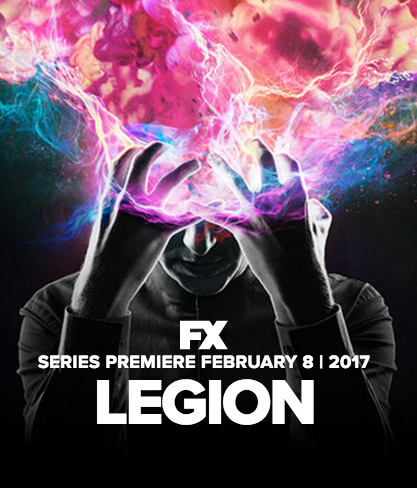 Currently Legion is on Hulu and streaming on the FX website. What are you waiting for? Go watch it now!